We build what you want. As homeowners ourselves, we understand that you need to deal with someone you can trust when it comes to your most valuable asset. Whether you’re looking at patio designs, decking designs or garage carport plans, you’re doing so because you want it to have a positive impact on your lifestyle. 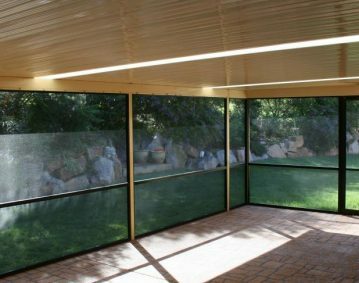 With the addition of an outdoor room you will increase the practicality of your home, and you can begin to enjoy the benefits of outdoor living. That’s why we see our first role as helping you work out what you want (or what will suit your needs and tastes best), and then take care of all the technical stuff, including City Council approvals and paperwork. 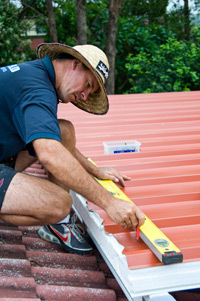 We then follow through by building with high quality materials and a close attention to detail. At the end of the day, Homeshield is small enough to offer you a high level of personal service and a custom build, while being big and experienced enough to provide you with the benefits of years of experience and the cost savings of our buying power. 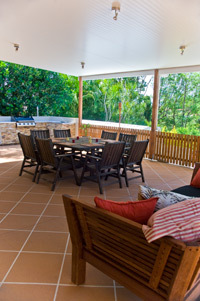 From our Management team to patio deck & carport builders and suppliers, our focus is on getting things right for you. Homeshield was originally born almost 50 years ago as a Division of Hunter Douglas, and has evolved with Queenslanders’ lifestyles. It’s a Brisbane-based family business, owned by Julian and Christine West, who bought the company after working for a number of years for the previous owner. Julian has always been good at design and building, and enjoys coming up with solutions that are the best fit for the customer’s needs. 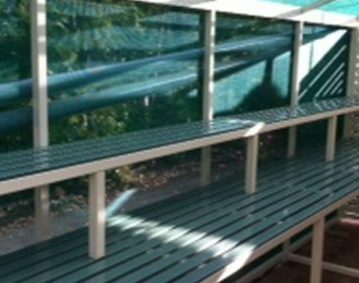 After over 10 years building patios and decks, Julian understands that in order to do that, a company such as Homeshield has to have the flexibility of offering a real range of options from multiple suppliers. 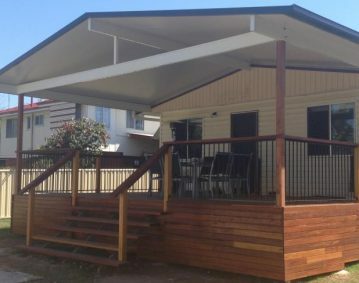 That’s why he and Christine have forged solid, long term relationships with some of Australia’s leading suppliers of roofing, blinds, decking and structural components to ensure that you’ll get exactly the result you want. These include Hunter Douglas / Shademaster, Sunstate, Ausdeck, Solarspan, Aussie Outdoor and Fielders among others.